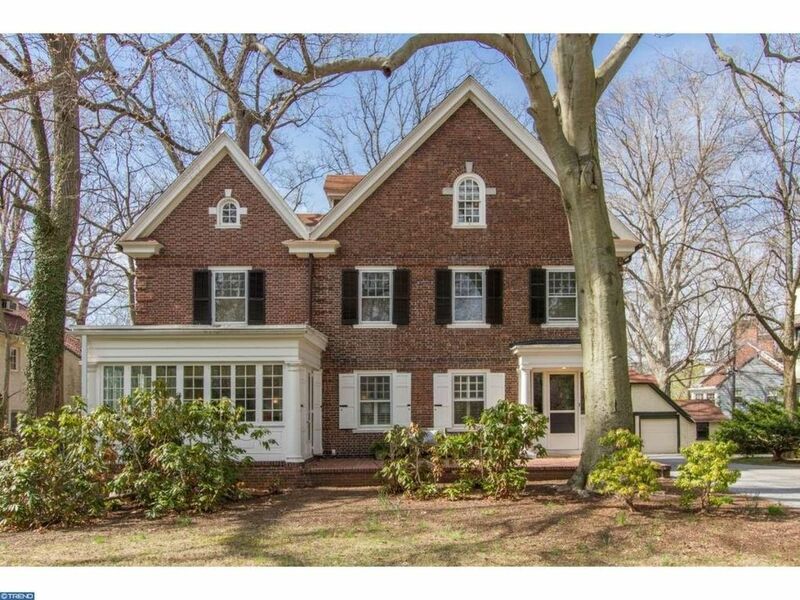 Stately Merion Station brick colonial located on a quiet street with easy access to shopping, train, and Philadelphia. 6 bedrooms and 3 full baths. Enter through foyer into large living room with fireplace. Extra large bank of windows awash the living room with lovely light. Sun room and family room off of living room. Large, bright formal dining room with access to new large deck. Bonus room (office, study) with access to back yard. Renovated eat-in gourmet kitchen with island and access to deck. Updated half bath finishes the first floor. Master Bedroom has a sitting room, private balcony and recently renovated bath with separate shower and soaking tub, dual sinks. Two additional bedrooms and hall full bath complete 2nd floor. 3rd Floor has three more bedrooms and 3rd full bath. Hardwood floors throughout most of home. Partially finished basement. 2-car garage, shared wide driveway.